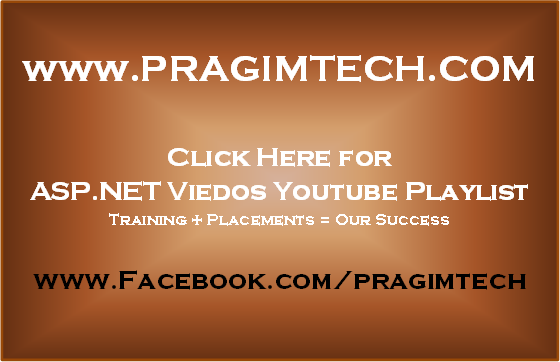 In this video, we will discuss about the asp.net session state mode - StateServer. Asp.net session state mode can have any of the following 4 values. Asp.net session state mode is set in web.config file. 1. Off - Disables session state for the entire application. 3. StateServer - Will be discussed in this session. The following session state modes will be discussed in a later video session. When the session state mode is set to StateServer, the session state variables are stored in a process, called as asp.net state service. This process is different from the asp.net worker process. 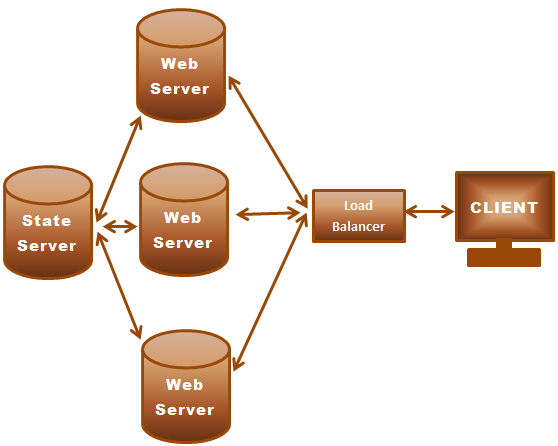 The asp.net state service can be present on a web server or a dedicated machine. b) In the run window, type services.msc and click OK.
c) In the services window, right click on ASP.NET State Service and select Start. 2. In web.config set sessionState mode="StateServer"
1. ASP.NET worker process independent. Survives worker process restart. 2. Can be used with web farms and web gardens. 3. State server offers more scalability than InProc. 3. If the StateServer, is on a dedicated machine, and if the server goes down all the sessions are lost.